Mì Quảng is a noodle soup originating from central Vietnam. The broth is cooked with beef bones and seasoned with fish sauce. The noodles are colored with turmeric to get the yellow tint, although, this is optional and depends on the restaurant. You have a variety of meat choices for this dish, but the classic is Mì Quảng Tôm Thịt (noodles with shrimp and pork). It also comes with quail eggs, cilantro, peanuts, and toasted sesame rice cracker. Originally, the soup is more like a sauce. It’s thick and concentrated and the dish is meant to eat dry with little sauce. 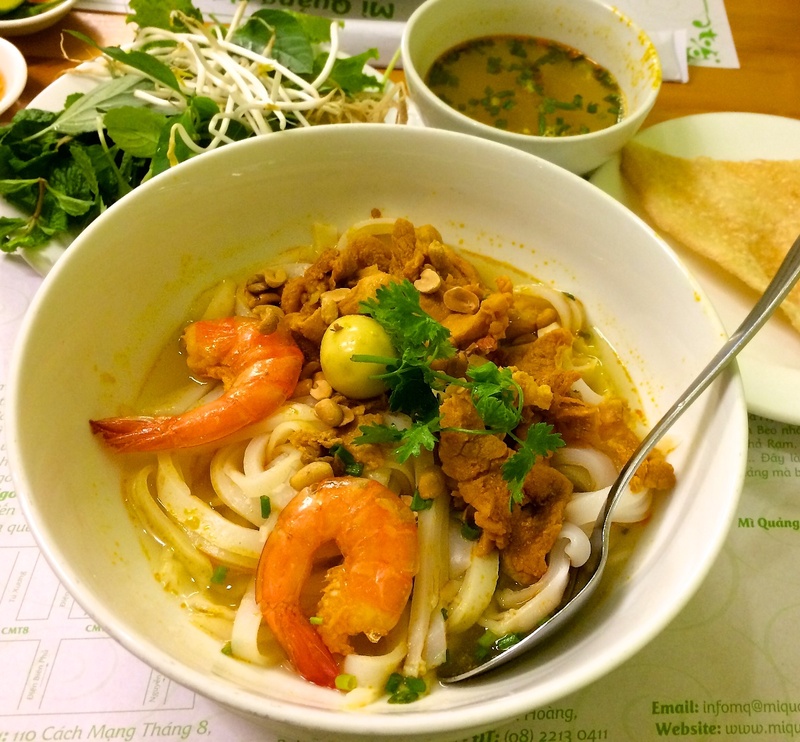 However, southern Vietnamese adapted the dish to fit their preference which is more soup and lighter consistency. I have searched high and low for a place that serves the best tasting Mì Quảng and I believe this place is the next best thing other than traveling to the central region for a bowl. 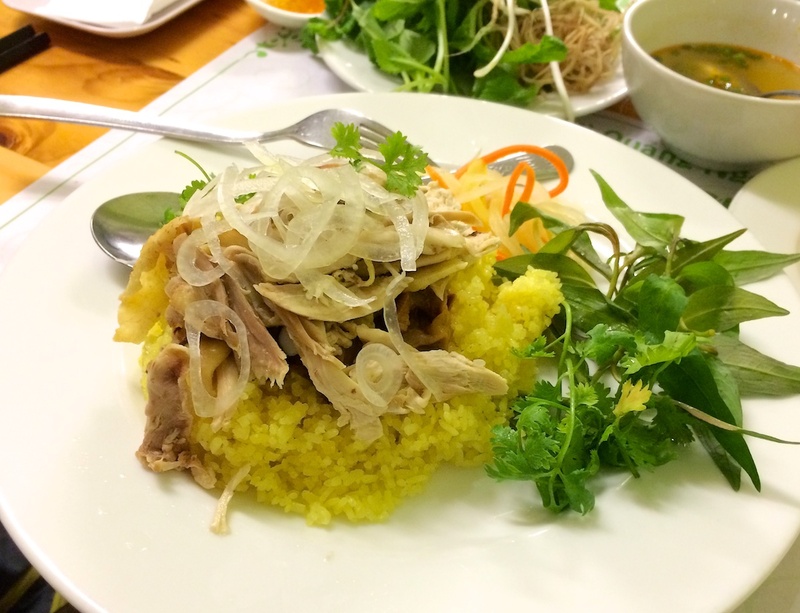 Another dish that is popular here is Cơm Gà Hội An (Hoi An City chicken rice). The rice is a combination of regular white rice and sticky rice. To get the vibrant yellow color, the rice is cooked in chicken broth and fat. This makes the rice very moist and fragrant. The dish comes with shredded white and dark meat chicken that has been marinated with onions, herbs and other seasonings. It’s served with the sweet and tangy fish sauce.